Should digital literacies be embedded in the subject curriculum or be the province of librarians or learning developers? 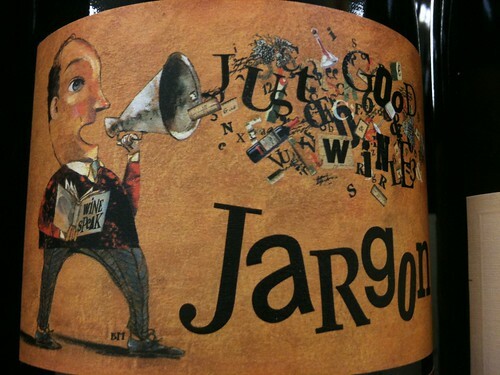 What are relevant digital literacies for teachers and how do they acquire them? How can students leverage their existing digital practices to benefit their studies? Putting my cards on the table, I led the development and delivery of Year 1 UG module called Emerging Technologies whose curriculum includes the contexts of study (developing personal learning networks) and work (the impact of social media on organisations) with lots of practice and critique for the students. I have for a long time been interested in the relationship between students’ and teachers’ learning practices, particularly with respect to emerging technologies. Of course, these learning practices could take place in formal education or in any area of everyday life. More recently, I have been thinking about the ongoing development of digital literacies as a dynamic process since new technologies will emerge, and existing technologies will change (eg Facebook’s privacy). It may be more useful to use Schon’s work on the reflective practitioner to look at practice across work, study and play contexts – everyday life- and how learning can cross these contexts via reflection. Considering the practice of ‘teachers’ and ‘students’ I came up with this diagram for a session with colleagues at Salford. 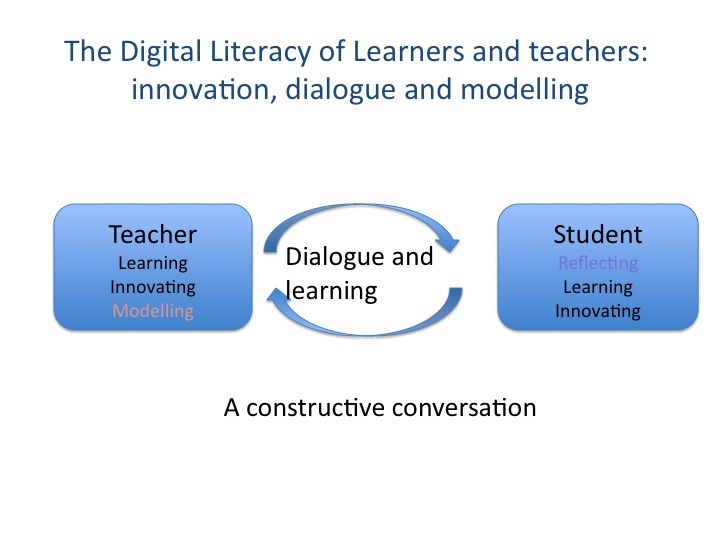 I, like Jeff Swain and Abhay Adhikari, am interested in the role of conversation in learning about ‘doing’ emerging technologies. However, I wasn’t completely satisfied with it: I seemed to be getting bound up between the ‘roles’ of teacher and student and the ‘activities’ of teaching and learning so I have had another go and here is version2. What I am trying to say that for all of us in our everyday life in the digital media landscape, we engage (at different times and with varying degrees of effectiveness) in innovating, learning, modelling and reflecting. 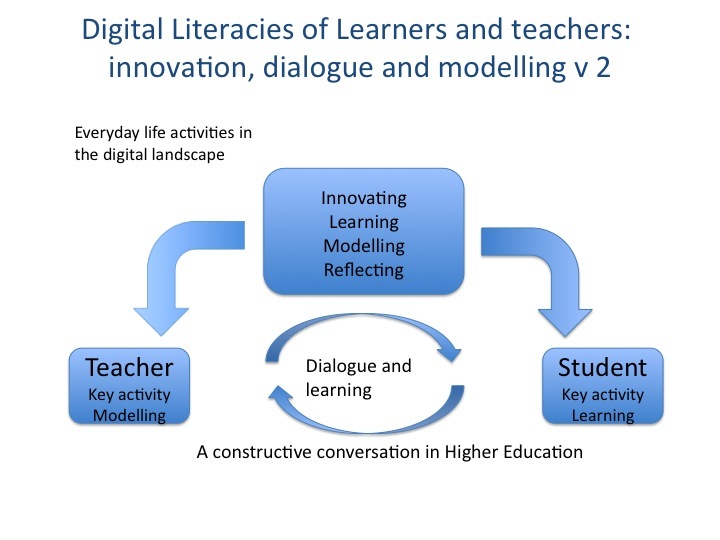 Teachers (or librarians or learning developers) who want to have a constructive conversation with students about digital literacies (that I am characterising as effective practice in the digital media landscape) will need to achieve sufficient learning via innovation and reflection to do their key role activity of modelling (and encouraging reflection). Students (and their listening teachers) can benefit from this constructive conversation by reflecting on their everyday practices, helping them bring what they have learned in an everyday context to their context of study in HE. Although I did get this positive response to my lecture that covered personal (learning) networks, I tend to think that effective practice in personal learning networks comes via doing it then reflecting on it. Maybe my lectures are about marketing the ideas. Anyway, I would love your feedback on these ideas so I can reflect on them before my contribution to the JISC online conference next month.